Need a sweet electric, foldable, electric bike? e-bikes USA donated their inventory to us! - Nerds Abroad, Inc. Need a sweet electric, foldable, electric bike? e-bikes USA donated their inventory to us! e-bikes USA donated their entire inventory to Nerds Abroad! If you want a really awesome, foldable, and electric-powered bike, buy one today! 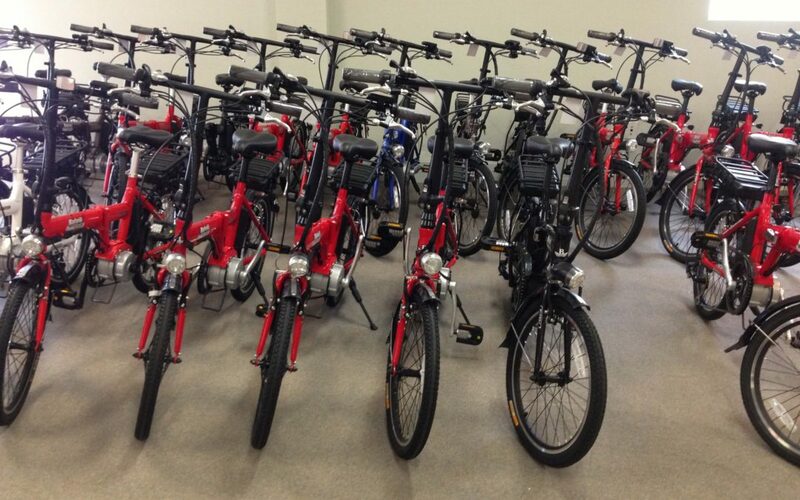 We are pleased to announce that e-Bikes USA donated over 40 bikes to Nerds Abroad as a fundraiser for our organization! What does that mean for you? If you are in the market for a bike, consider purchasing one of our bikes. Electric powered. I ride mine every day and charge up once per week. Top speed is around 20mph. We are currently selling these bikes for $300/each! These bikes MSRP for over $1000+. Your purchase directly supports our education efforts at Nerds Abroad! Bulk discounts available. We are also looking for partners to sell these bikes as an educational experience for students. If you are a part of a school or non-profit looking to run a student-led business, contact us directly. We have curriculum and distribution systems already setup. Please note that e-Bikes USA no longer has a location in Tangent. Bikes are located near downtown Albany, Oregon. All sales questions should be directed straight to Nerds Abroad. Sounds great! I will reach out to you later this week. Thank you! I’m interested in getting one of the 300$ bikes, would it be possible to come by to get one? Yes, I will email you right now to arrange this!